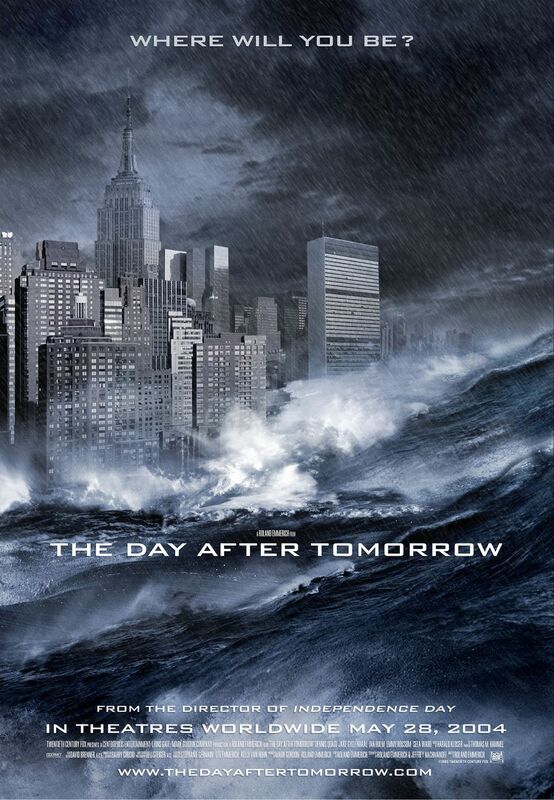 Brief Synopsis – After a drastic change in the world’s climate, a scientist sets out to rescue his son trapped in NYC. My Take on it – Roland Emmerich is a director known for his affinity to creating large-scale action movies that usually fir into the category of disaster movies. He once again hit his mark with this completely absurd movie from a scientific perspective. The ensemble cast of characters trapped within these “natural” disasters are led by Dennis Quaid and Jake Gyllenhaal who shine as father and son. The movie has the distinction of being one of the highest grossing movies ever without reaching #1 in the US. Its gross is second only to My Big Fat Greek Wedding (2002) who is the champ of that category. The special effects used to create this movie are unbelievably done and they make us believe that everything is really happening around the characters. This was amazing to watch in the theater, but is still very enjoyable on the smaller screen. As unbelievable as the plot is, it’s still a lot of fun to watch and there truly is no reason to doubt that Emmerich is a one of the master directors of disaster movies. Bottom Line – Not a believable plot, but still enjoyably fun to watch. Quaid and Gyllenhaal shine here as father and son. There is no doubting that Emmerich knows how to make a great disaster movie. Recommended! I do like Quaid a lot. This is a decent film and I’ve watched it a few times and always enjoyed it. It also does have some unintentionally hilarious lines via Quaid. Lines like “get out the snow shoes….we’re walking from here” (in a deep, dramatic voice) spring to mind and that is a genuine quote!!!!! But who doesn’t love a bit of unintentional hilarity? Plus the scenes are breath taking (even on second and third watches) and it’s just the right run time. All in all – great movie! I tend to watch this and Independence Day once a year. At least. 😀 Emmerich really knows his game. I haven’t seen this, sounds good.